Chef Rob Gentile’s genuine passion for the kitchen and his unending pursuit for true ingredients lead him to branch out from his Italian-Canadian roots and enroll in the culinary program at Toronto’s George Brown College. He then started working under renowned Chef Mark McEwan – progressing through the ranks to become executive sous chef. 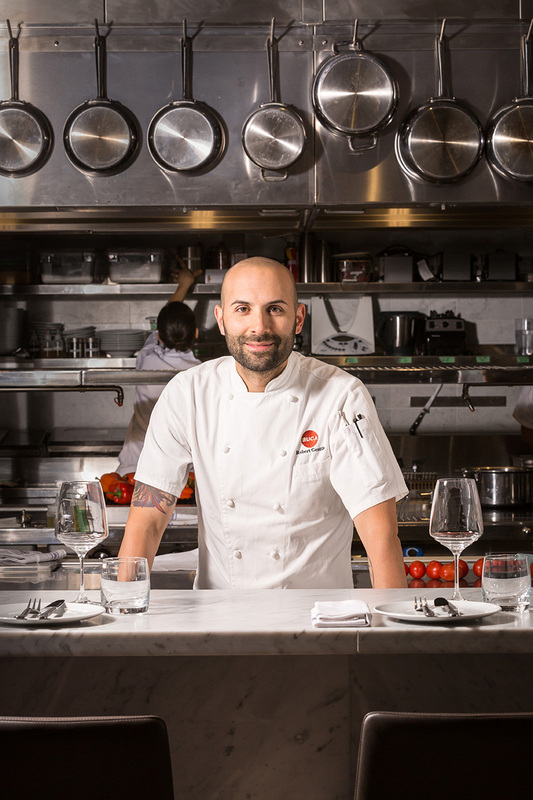 Gentile was presented with the opportunity to further explore his own cultural culinary heritage when he partnered with King Street Food Company and King Street West innovators & restaurateurs Peter Tsebelis and Gus Giazitzidis (Jacobs & Co. Steakhouse, The Saint Tavern and the original Brassaii Bistro Lounge). Together they opened what has become one of Canada’s most successful restaurants in recent years – Buca Osteria & Enoteca (named number two in Canada’s 100 Best 2016). In 2014, two new Buca concepts opened: Bar Buca, located in King West, and the highly anticipated Buca Yorkville, located at the newly-completed Four Seasons residences complex.